Next on my reading list: 3 new books! I’ve got three new books to read and review on I’m Booked! 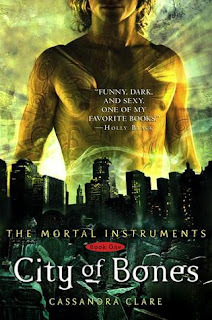 First is City of Bones (Book 1) by Cassandra Clare which I’ve finally decided to read after seeing everyone’s reviews of it. Because the opinions were so divided I thought it would be a good idea to see what everyone was talking about (same reason I read Twilight) so I could join in. 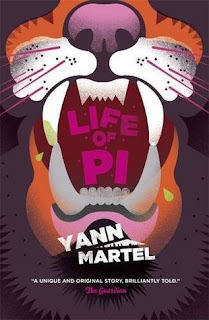 Next is Life of Pi by Yann Martel which is a book that I’ve been meaning to read but never have. I’ve been walking past it in the library for the past four years now. Now it’s been turned into film which I suppose has encouraged me to read it, before I eventually watch it (that and my friend keeps nagging me to). 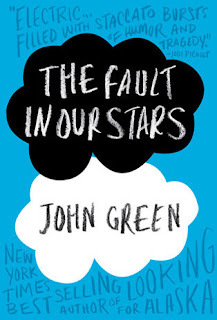 Last but not least is The Fault in Our Stars by John Green which I’m really excited to read after I got it in the post this week, courtesy of Penguin publishing house. I’ve heard good things about this book from a lot of people so it should be an enjoyable read. I’ll have my tissues ready! So there you have it, the three books that will be reading and reviewing over the next few weeks (not necessarily in that order). I’ve been nominated for a blog award! *Happy dance* So now that I’m done dancing I’d just like to give a thanks to Elle from Lost inWonderland for nominating I’m Booked! 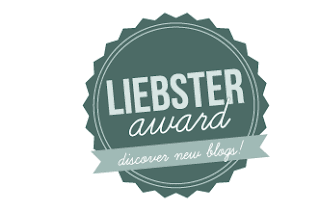 for the Liebster Blog Award. · I used to watch Teletubbies non-stop when I was a kid. If you were to write a book, what genre would it be and which age group would it be aimed at? Hehe, I’ve actually already written one! Well it’s more of a novella… or a short story… and it doesn’t have a real ending (oops). But if I was going to write a story (and finish it) then I think I’d write it in the mystery genre aimed at the young adult audience. What was your biggest regret of 2012? Going to this buffet with my friends… the amount of food I ate… (I’m still having flashbacks). But on a more serious note it would have to be not reading more books to review for you guys. Don’t worry, I’m working on it. First book or first book. My first real book (without pictures) that got me into reading was Ingo by Helen Dunmore. It’s about mermaids… sort of. I just thought she created a really cool underwater world in her books and after the series finished I started reading a lot of books to find something else that I’d like. My first ever books that I could read by myself were Busy Babies (yeah, I know) and Paddington Bear. So many memories. If you could be a character in any book, who would you want to be and why? Well… I always thought it would be cook to be Mia in The Princess Diaries. Her life was just so funny to read about. Who is your favourite Disney Princess and why? For me it’s between Belle and Tiana. I watched Beauty and the Beast as a kid and I think she has one of the best dresses and films. I just love the musical numbers. I saw Tiana in The Princess and the Frog a few years ago and really enjoyed the story, music, the characters and the way they used 2D animation. I think she also has a lovely dress. Physical books or e-readers? Why? I got a Kindle Fire for Christmas (my old one broke) so I can read e-books again. I don’t’; really mind but I do like having a physical book to hold sometimes when I’m reading. E-readers are very convenient though and you can turn the page with one hand while reading. All time favourite book series? Maybe The Hunger Games. Or maybe Hush, Hush. It’s difficult to pick a favourite series because I always feel like the first book is usually the best and then they sort of taper off at the end of the series. I speak English but I’ve been learning Spanish for 6 years. Hopefully one day I’ll be fluent in it. I ‘d also like to learn a few other languages. Which book to movie conversion are you most looking forward to this year? Catching Fire, which I’m hoping to see good things from. I thought The Hunger Games film was quite goo which doesn’t normally happen with book to film conversion and Life of Pi. 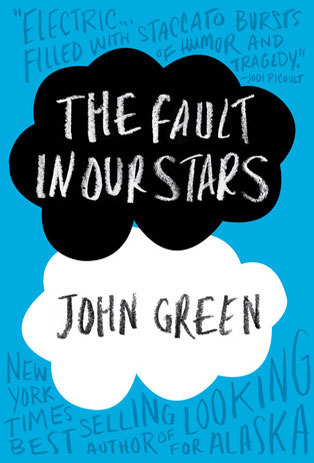 If a movie based on a book is coming out, do you read the book or watch the movie first? I usually read the book first, unless I don’t think it’s a book I’d get round to reading. New York City. I went there on holiday and it was amazing. I know it sounds generic but I seriously think it’s one of the best cities in the world. Top 5 easily. Name one of your favourite bloggers? What’s your favourite film (that was originally a book)? If you wrote a book what would it be about? Who’s your favourite book character? This is the first time I’ve been nominated for something so it’s pretty cool! I'm Booked! has a new look. You might have noticed that the blog is looking different. Since I'm Booked has been around for nearly six months, and it's a new year, I've decided that it was time the we changed things around on this blog so I've given it a bit of a makeover. It's still under construction so expect more changes. Tell me what you think. Did you prefer the old design? 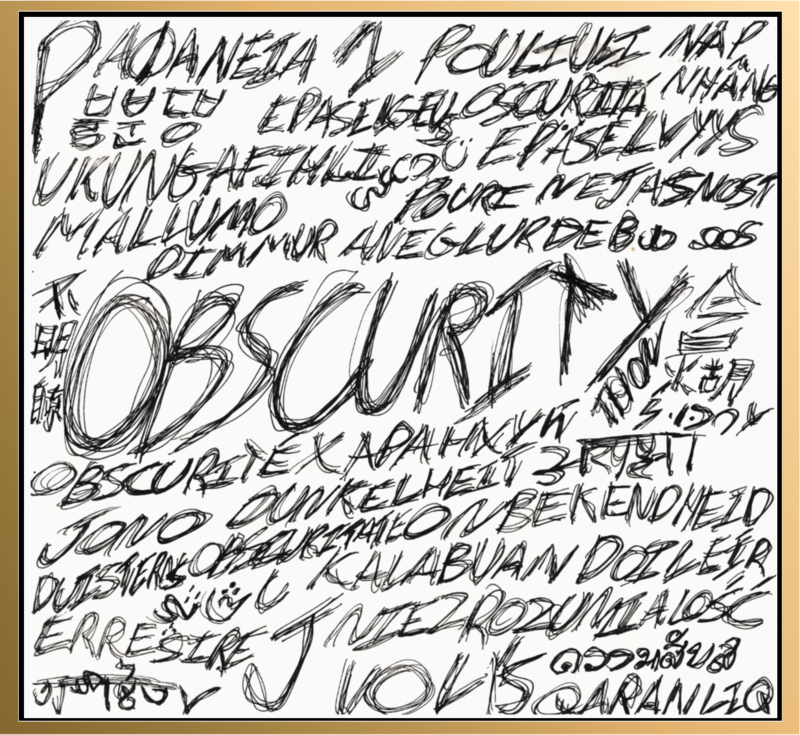 I think we've established that the majority of us like our cover art. It's the first thing we see when we find a book and let's face it, it matters more than we'd like to admit when picking a book, (sometimes) but when I look at how various book covers differ from country to country or sometimes, edition to edition, I can’t help but compare them. Some covers draw me in while others are easy to overlook, some have amazing artwork while others leave alot to be desired. Alas, I've decided there was only one thing to do. Pit them against each other of course. 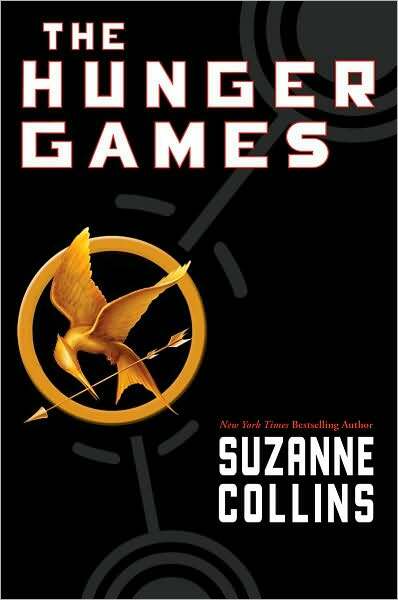 So today I thought it would be appropriate to compare the covers of bestselling, book-turned-film The Hunger Games. Bear in mind there were a lot of covers, and I couldn’t compare them all. Let the games begin! 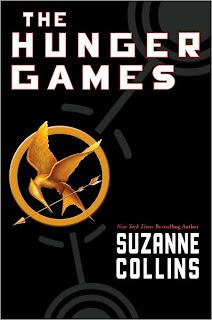 Germany – When I see this cover I don’t instantly think The Hunger Games, but I suppose, assuming we’re looking at Katniss, it does show her stealthy side, which along with her skill using a bow, is her main advantage over most of her opponents. The green theme is a nice change and this is one the few cover without a Mockingjay pin planted on it somewhere which I found interesting. Denmark - I'd never seen this cover before today and I have to say I really like it. It's sombre, eerie and it tells you a little about the book without you even having to read the blurb. I like how it shows Katniss in action with her bow in hand, before she enters the games because whenever I think of Katniss, I think of her shooting arrows in the arena. Again, no Mockingjay logo. US – This is the cover I see everywhere online. It’s simple and quite plain which I think is nice. There is a Mockingjay, as expected, and it’s also the only image on the cover that isn’t in monochrome. 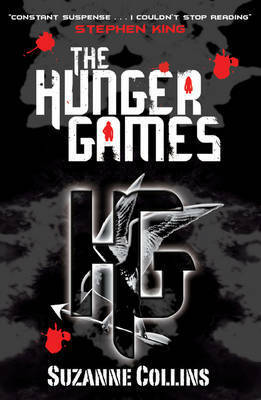 I like this cover as when I heard of the Hunger Games is was the first cover I saw. UK – There were actually quite a few covers for the UK that I’ve seen but this is the copy I have, which was a part of a box set where the others had similar covers with a different colour scheme. As for this cover, although it isn’t very telling I feel it maintains some mystery as what happens. Well that was until I read the blurb of course. Behind the HG there is a Mockingjay carrying an arrow which is the image we associate with The Hunger Games. I like most of these for different reasons but it will have to be the cover for Denmark. I like how although there isn't a Mockingjay to identify immediately, the girl's bow has the same effect. But that's just me. I'd love to hear what you think so I'm going to let you decide on the poll.